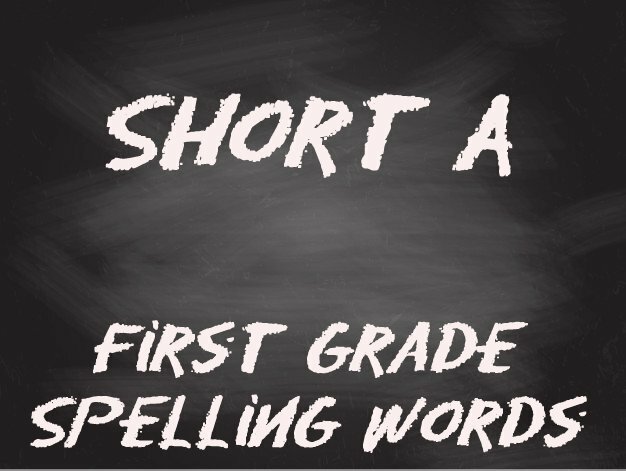 The First Grade spelling list and activites are free for you to use either at home or in the classroom. It's a joy to be able to prepare these not only for my own kids, but for those of you that visit the site. 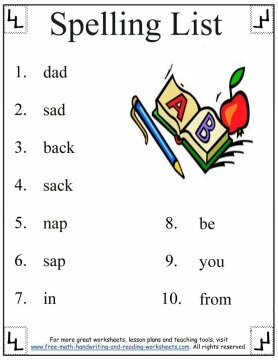 The word list below will focus on the short 'a' sound and all the wonderful words it makes. I've also expanded upon the short /a/ in my vowel worksheets. I'll include a link to those lessons at the bottom of this page, but for now, let's get to spelling. 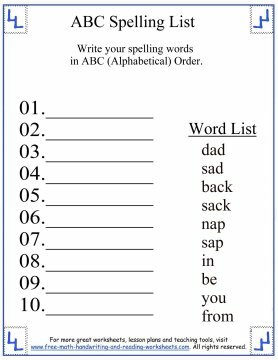 The first printable is the word list which you can print out and use to study the words. Take it with you in the car and learn how to spell on the way to the grocery store or just let your child read it over whenever it's convenient. The next paper is an ABC order activity. Write the words on the line in alphabetical order. 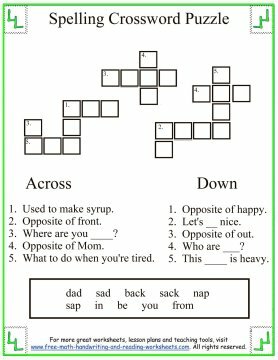 Then there's a short crossword puzzle using the spelling words. Read the clues with your child and then help him or her to come up with the correct answer. The next handout is a writing and sorting activity. In the first set, write all of the words that begin with S, then write the words that use the short 'A' sound. The final two worksheets are fairly similar. 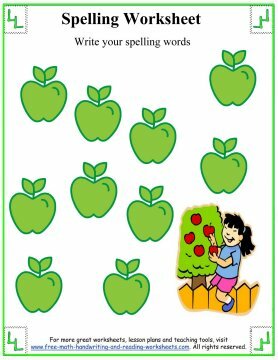 Have your child write the words from the word list onto each apple. After creating the first one in color, I realized that for many teachers, colored worksheets aren't ideal for the classroom. 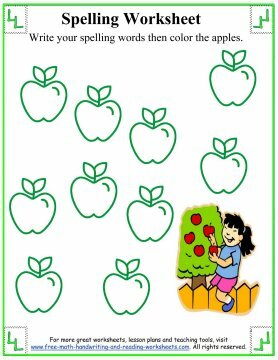 So, for those teachers I've created a black and white version that students can use to write their words and then color in the apples. Make it more challenging by creating a color key. For example, have them color the words that end with -ck red, the words that end with -ad green, the words ending in -ap yellow, and the popcorn words blue. Continue learning how to spell with the next list of spelling words below. 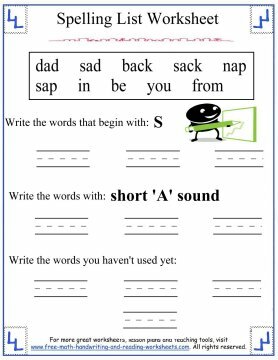 You can also review previous lessons or check out the short vowel worksheets for more in-depth study of the short 'a' sound.